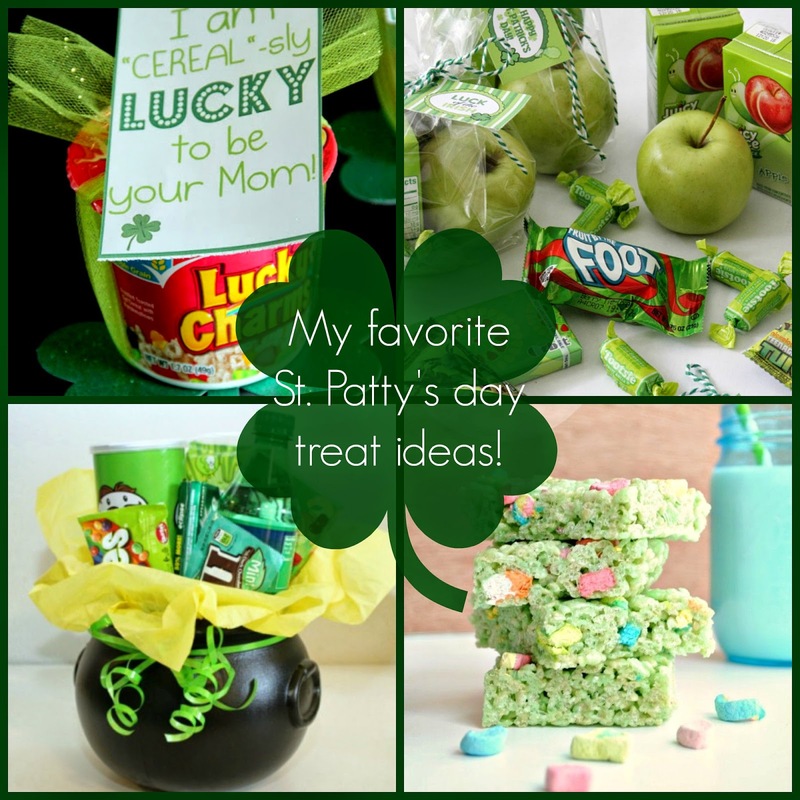 Today I have a St. Patrick’s Day themed treat bag idea for you! This is perfect for your kid’s preschool or elementary class. This treat bag Bryce will be giving out to his 2nd grade class. Keeping with the theme all things green we have Juicy-Juice apple juice, Pringles (sour cream & onion), Fruit by the Foot, Doublemint gum and a few gold coins. The tag I downloaded from Pinterest and I will link it below. All the food items and plastic party bags were purchased from Walmart, expect the gum and coins, those were from the dollar store. The cloverleaf bag is for Madison’s class (preschool). The only thing I did not include was the gum, for obvious reasons! I picked the cloverleaf bags up from the dollar store as well. Madison’s treat bags came out to $1.30 each. I love making these bags for the kids, and they love giving them out to their friends at school. To cut costs as much as possible, I try and find fun-themed things at the dollar store. My favorite is the Dollar Tree, they have some pretty fun stuff for treat bags! Below I show you how I assemble the bags and what I put in them. Previous Post EATING OUT & THE DUFF!